"Must have been the wheels on my wheelchair skidding"
Centre party leader Sigmundur Davíð Gunnlaugsson said yesterday evening that the seal noise made at the Klaustur bar was not one of the MP's but probably a bike skidding to a halt outside the bar. His chair sound theory was proved wrong by journalists. 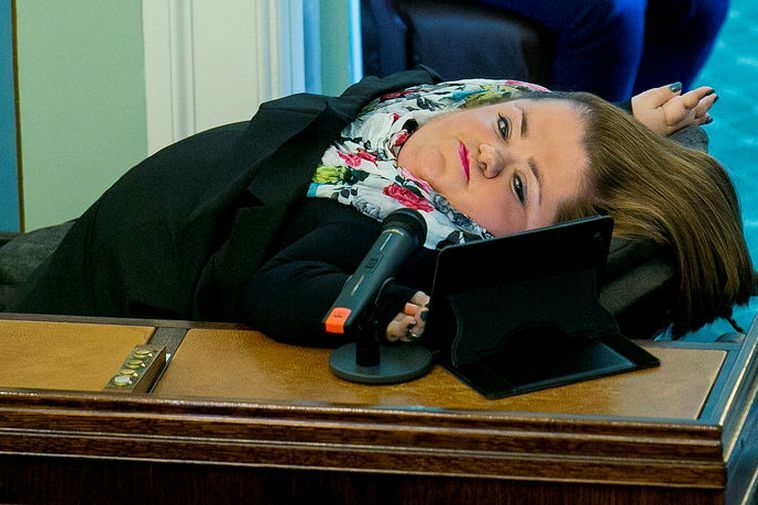 Disabled former MP Freyja Haraldsdóttir has responded on Twitter that it must have been the sound of the wheels on her wheelchair skidding outside the bar window. The scandal of the recorded bar conversation by six MP's is being hashtagged as #klausturgate.